BC alumnus named to head Archdiocese for the Military Services. Published 11/23/2007. Local. 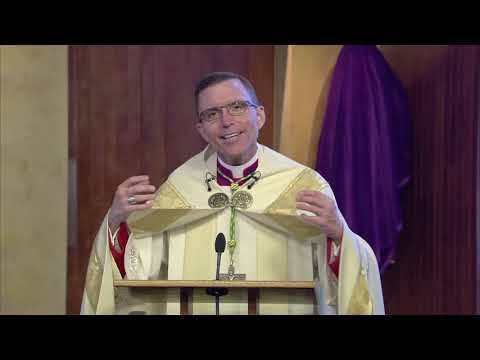 WASHINGTON (CNS) -- Pope Benedict XVI has named Archbishop Timothy P. Broglio, a Cleveland native who is apostolic nuncio to the Dominican Republic and apostolic delegate to Puerto Rico, to head the Archdiocese for the Military Services. The appointment was announced in Washington Nov. 19 by Archbishop Pietro Sambi, apostolic nuncio to the United States. Archbishop Broglio, 55, succeeds Archbishop Edwin F. O’Brien, who was installed as head of the Baltimore Archdiocese Oct. 1. “I am indeed privileged to take the reins from Archbishop O’Brien,” said Archbishop Broglio at a Nov. 19 news conference at the military archdiocese’s headquarters in Washington. The new archbishop, who has never been in the armed forces, said he has encountered members of the military in countries where he served in the diplomatic corps. He said his primary goal will be to find more chaplains. Currently there are about 300 Catholic military chaplains serving U.S. troops. Archbishop Broglio has a career that is closely associated with Rome, where he was ordained a priest of the diocese of Cleveland May 19, 1977, by Cardinal Sergio Pignedoli and ordained to the episcopacy by Pope John Paul II March 19, 2001. Born Dec. 22, 1951, Timothy Broglio graduated from St. Ignatius High School in Cleveland and earned a bachelor’s degree in classics from Jesuit-run Boston College before entering the seminary. He returned to Rome in 1979 to study at the Pontifical Ecclesiastical Academy, the Vatican’s school for diplomats. He graduated from the academy in 1983, the same year he completed a doctorate in canon law at Gregorian University. Then-Father Broglio began his diplomatic career as secretary of the apostolic nunciature in Abidjan, Ivory Coast, and then became secretary of the apostolic nunciature in Asuncion, Paraguay. He was transferred back to the Vatican to serve as desk officer for Central America and chief of staff to then Vatican secretary of state, Cardinal Angelo Sodano, a post he held until being named an archbishop in 2001. In the new post, he will be in charge of the spiritual, pastoral and sacramental care of the 375,000 Catholic active-duty U.S. military personnel and their 800,000 family members; 200,000 Catholics in the Reserves and National Guard; 30,000 Catholic patients in 172 Veterans Affairs hospitals; and 66,000 Catholics in government service overseas in 134 countries. As the statistics indicate the overwhelming responsibility of the archdiocese is for the personnel of the military services, both at home and around the world. As well as those who are in the care of the Veterans Affairs medical facilities. Equally though the archbishop has the pastoral care of some 66,000 Catholics in United States’ government services across the globe, many of them in diplomatic postings for the United States. 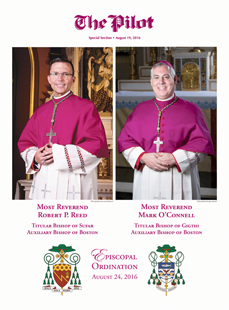 Archbishop Broglio is to be installed as head of the military archdiocese Jan. 25, the feast of the Conversion of Paul, at the Basilica of the National Shrine of the Immaculate Conception in Washington, D.C.